If you’re part of the kidlit community, perhaps you’ve heard about author Kate Messner being uninvited from a school because of the content of her latest book, THE SEVENTH WISH, which addresses the story of a young girl whose older sister becomes addicted to heroin. If not, you can read about it here (there’s also an update at the bottom). As a parent, I understand the desire to shield your child from what may seem like a far-off reality. But as someone who’s already had to explain addiction to my six and eight-year-old in at least basic terms because they’ve seen the consequences of it, I understand the importance of a book like THE SEVENTH WISH. Am I going to give it to my children now? Of course not. But with the right preparation and discussion, and when they’re old enough, yes. This book is entirely appropriate both to show kids why they should avoid addictive substances and to help a child close to an addict. Instead of my usual five things I loved most about the book, I’m going to do five reasons you should read this book. 1. Charlie’s honesty – Even before her sister’s addiction surfaces, Charlie feels secondary in her family, and she struggles with her own reactions to that. I loved how honest she was about herself and where she fit into everything. She’s angry with Abby, even while her heart is breaking. My heart was breaking, too. 2. The theme – It says it right there in the description, so I don’t feel like I’m spoiling anything by sharing it. You can’t wish away your problems. Every time Charlie makes a wish, it gets twisted up somehow. I especially like the wish about the boy, but I won’t spoil that. 3. The truths – Some of this goes along with the honesty, but there was a particular passage toward the end that really hit home for me. Instead of showing those videos with the greasy-haired people in D.A.R.E. classes, they should show kids like Abby. Soccer forwards and calculus students, student council presidents and homecoming queens and big sisters. They should show those people lying to their families and sitting ashamed in the hospital, tugging on their sleeves to hide the marks on their arms, struggling to breathe, crying when they have to tell the truth. That because they broke a promise they made in fifth grade, nothing can ever be the same. Wow. On another note, there’s a teacher in Maine who received an advanced copy of the book last October and worked with her school’s D.A.R.E. officer to create a program using the book. Her post about it and the video at the end of the kids speaking to their future selves is so powerful. 4. Charlie’s friends – I love how unique each of them is. Drew with his gross facts. Catherine with her flour baby. Dasha with her coding. Charlie has a solid group of friends to support and distract her. 5. The dancing and the fishing – Yes, these are two completely different things, but they end up being tied together for Charlie. She needs money to buy her Irish dancing dress, so she goes out ice fishing with Drew and his grandma to earn more and becomes a rather proficient fisherman. Well, then there’s that magic fish … The point is, there’s more to the story than what happens with Abby. 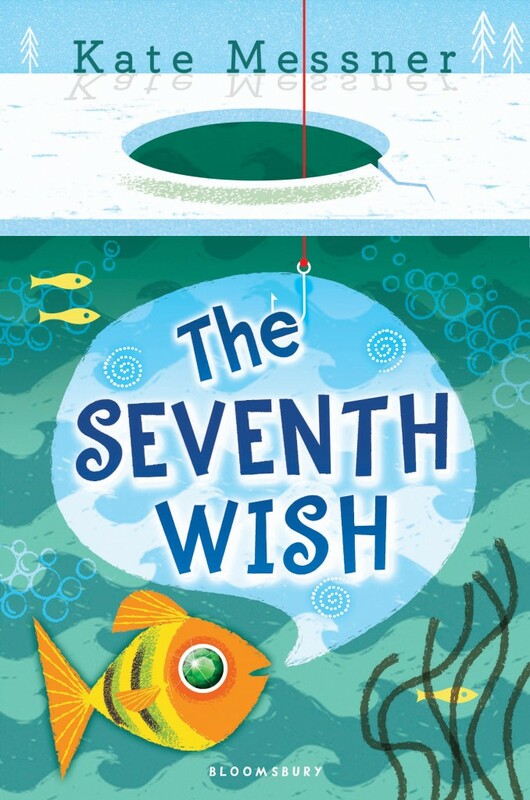 I hope more schools will find ways to incorporate THE SEVENTH WISH and other books like it. Addiction is an important topic, and more kids are affected by it–even at an early age–than they may realize. Yes, educators should be cautious about what they give kids to read at what age. I’m all for that. But if you pair a book like this with a curriculum discussing the topic, it would be so beneficial. Ok, I’m going to step off my soapbox now. Have you read THE SEVENTH WISH? What are your thoughts? 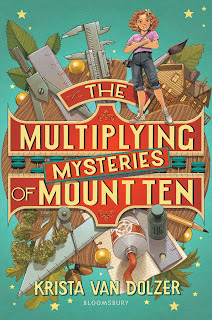 This sounds like a fantastic book that I wish was around when my daughter was in middle school. I agree with you that we should use books like this to help our kids understand the dangers out there and that addiction can happen in any family. Thanks for sharing this. I finished this one recently and will post my review next month. It was excellent and I think people hear the word heroin and assume the book is about the main character describing her fall into addiction. Couldn’t be further from the truth. It’s the struggles of a young girl who loves Irish dance trying to come to terms with her older sister’s problem. The magic fish also plays a huge part of the story and provides the hook for MG readers. I’d like to see this one as required reading in all fifth grade classrooms. Thanks for your insightful comments. I haven’t read this one yet, but I do have a copy on my pile. Excellent review. I feel that exposure to “bad” things is fine as long as real consequences are depicted and the “bad” is not in any way glorified. I feel there is an age-appropriate aspect too, so I appreciate you warning parents/educators. When my kids were younger, I always read the book first. I would delay their reading (if I felt necessary) or just discuss the issue with them. There is definitely no glorification of drug use in this novel. It’s handled in a very real way. And I agree on the point of open discussion with your kids. That’s always best! I haven’t read this book yet, but it is on my TBR list. I hope to get to it soon. Thanks for such a thorough review. Thanks for this review — I’m really interested in reading this now. I love Kate Messner, but am not familiar with this book. Met her at a summer writing conference at Southampton Stonybrook University. Great teacher. Looks like a must read for me! Sounds like an important book. I love this author’s Ranger in Time series!